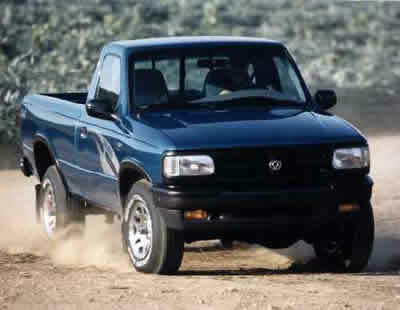 The Mazda Pickup is a modern work of engineering brilliance. But that fact doesn't mean that you won't need Mazda Pickup parts from time to time. When it comes time to replace necessary Mazda Pickup parts, you want to make sure that you use a service you can trust to locate the right parts for you. With the parts locator service provided by UNeedAPart.com, you can be sure that we'll match you up with parts suppliers that have your Mazda Pickup parts currently in stock. The rest is up to you. Choose new or used parts and decide which supplier to order from. With over 7,000 parts suppliers in the UNeedAPart.com network, the odds are pretty strong that you'll find exactly the part you need to get your Mazda Pickup back in its element, out of the garage and on the road. The process of locating your Mazda Pickup accessories is easier than you would believe. Simply input the required information on UNeedAPart.com and in a few short seconds, you will be presented with a list of parts suppliers. That's all it takes to find parts like a Mazda Pickup center console, or a Mazda Pickup seat. You can even search for, and locate, harder to find parts like a Mazda Pickup transmission cooler. It doesn't matter if you run an auto repair business, or you like to do the repairs yourself, UNeedAPart.com is accessible by everyone who needs to locate quality auto parts. Try it today and you'll never use anyone else to locate your Mazda Pickup parts. Finding the right Mazda Pickup parts is easy! To get started, simply use the Parts Request boxes at the top and/or side of the page. You will instantly be matched with auto parts dealers that meet your search criteria. UNeedAPart.com helps you find the new or used auto body parts you need in no time!